This past week has been filled with lessons and coming to grips with the results of the U.S. election. It's been a painful cathartic time. 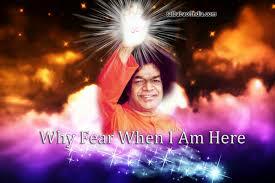 One thing is certain though Swami is our bulwark, our rock and refuge. The Will of God is mysterious and magnificent. The whole universe swings inside of Him for it is written: "In Him we move and breathe and have our being." This movement and melody of Divinity is eternal for from God all things emerge and into Him dissolve. I recall a powerful and poignant memory when there was still sand surrounding the Mandir at Prashanti Nilayam. Swami used to roam around after Darshan and we would wait so many hours trying to get more glimpses of His Divine form. He would go in for interviews, sometimes return to His residence and then surprise us with an unexpected appearance. On one such occasion, I was seated outside after morning darshan, somehow I'd gotten mixed up in a line of girl students dressed in white. Swami came over to us and stood there swaying. It was an enormous moment one I will never forget. He gazed at us with that "love of a thousand mothers" look. As He swayed back and forth in the silken morning light, the sun peeping over His divine form, it truly felt as if the whole universe was swaying with Him. He stood there for what felt like eternity and then softly ebbed away. What a heavenly gift, we must hold onto what is true and everlasting, God, God, God! Our limited understanding can never gauge the breadth and depth of the Divine plan.